Steam the cauliflower according to package directions. 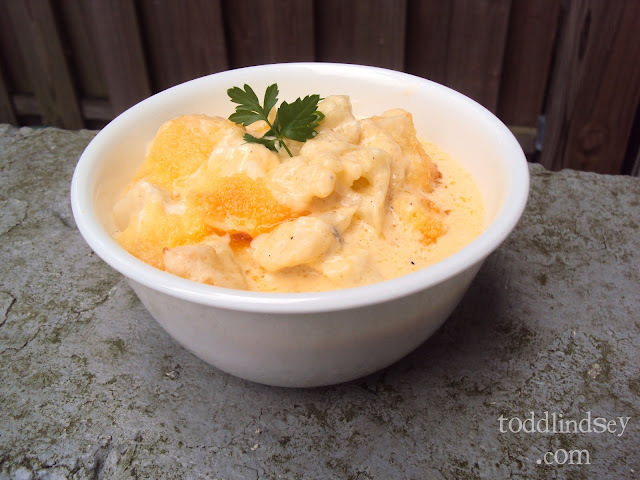 Add the cream cheese to the cauliflower and mash with an immersion blender, food processor or by hand. Stir in the sour cream, scallions, parmesan, 3/4 c of the cheese and 4 slices of crumbled bacon. 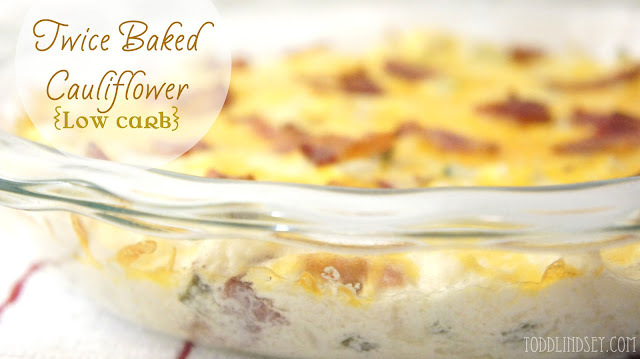 Spread evenly into the pie plate and sprinkle with the remaining 1/4 c of cheese and 2 slices of crumbled bacon. Bake for 30 minutes or until heated through and bubbly. Interested in some more awesome cauliflower-ness? Check out these faves! Now I'm hungry! This looks delicious. Pinned! YUM! 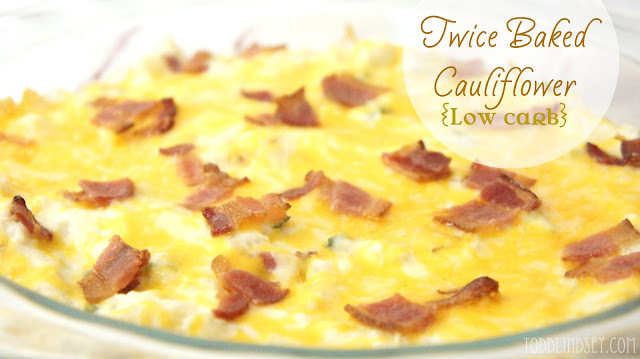 Love finding new things to do with cauliflower! I love cauliflower too! Definitely pinning. Thanks for sharing! 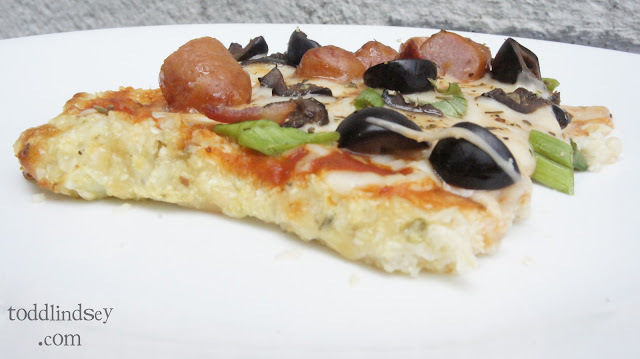 So many great ideas for cauliflower. I bet no one believe this is cauliflower. Just pinned this! YUM I just roasted and mashed some cauliflower last week. It sure was good. I have been wanting to make this. It seems cauliflower mash potatoes are the big thing right now. That sounds so delicious! I pinned it and can't wait to try it! 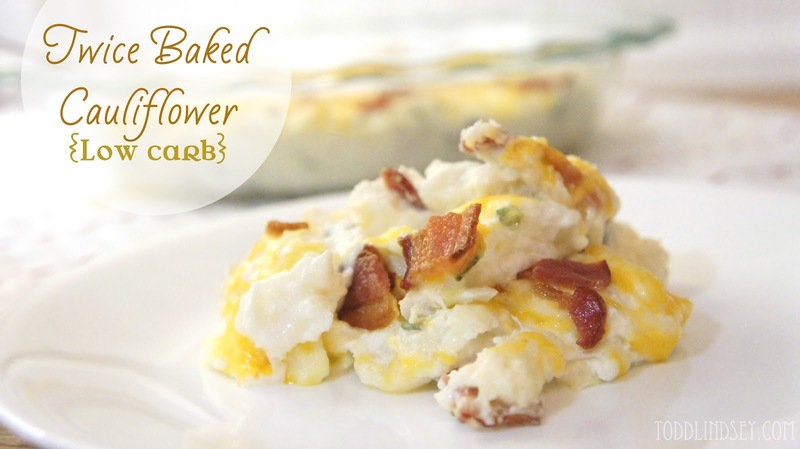 Cauliflower and bacon, sounds good to me!